Grupo Vidanta, the leading resort and tourism developer in Mexico and Latin America, will host its inaugural Vidanta Wellness Retreat at Vidanta Nuevo Vallarta in November, offering guests a unique wellness-inspired vacation. Led by world-renowned health expert, Deepak Chopra – globally recognized as a pioneer in integrative medicine and personal transformation – the weekend retreat will offer a series of conferences, workshops and activities available to both resort guests and to the general public. From November 1-4, guests can choose to participate in the Vidanta Wellness Retreat workshops, fitness classes and expert speaker sessions including everything from healthy cooking classes and nutritional workshops, to fitness classes ranging from sunrise and aerial yoga to stand-up paddle boarding and functional training camps or spin. Additional wellness weekend programming includes access to a curated healthy menu featuring spa-inspired cuisine created specifically for the weekend, in addition to guided meditation sessions, traditional Temazcal healing experiences, vegan cooking classes and more. 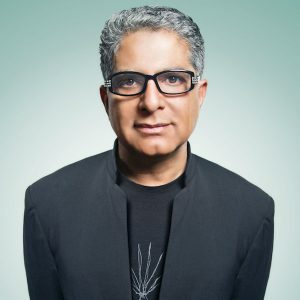 A special Day of the Dead celebration will also take place on Friday, November 2 and a keynote address and dinner with Deepak Chopra, one of the Time Magazine Top 100 Heroes & Icons, and author of more than 85 books including 25 New York Times bestsellers, on Saturday, November 3. Vidanta Nuevo Vallarta’s inaugural Vidanta Wellness Retreat is a new project from Grupo Vidanta, perfectly combining the property’s stunning resort accommodations, award-winning spa and emphasis on wellness to inspire guests with a recharged sense of being. To inquire about packages for the Vidanta Wellness Retreat, please call the customer service center at 1800 292 9446 or send an email to customerservice@vidanta.com. For more information about this and other Grupo Vidanta wellness projects, please visit www.VidantaWellness.com as of August 6th, 2018. From AAA Five Diamond award-winning hotels to an internationally recognized collection of golf courses, Grupo Vidanta continually pioneers innovative partnerships. Included in these groundbreaking collaborations are working with Cirque du Soleil to create JOYÀ, a first-of-its kind permanent theatrical and culinary experience in Riviera Maya; an exclusive long-term agreement with global hospitality company Hakkasan Group to debut new nightlife, day life and dining experiences starting with OMNIA Dayclub, Herringbone, Casa Calavera and SHOREbar at Vidanta Los Cabos; and an ongoing relationship with Nicklaus Designs and Greg Norman Golf Course Design to develop spectacular pro golf courses within the different Vidanta destinations. 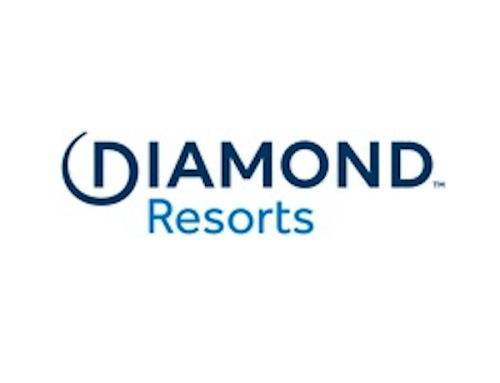 Grupo Vidanta’s real estate division has built and sold more than 2,000 luxury vacation homes and is responsible for developing Mexico’s first privately built and owned airport, Mar de Cortés International Airport, in Puerto Peñasco. Frequently named among the “Best Companies to Work for in Mexico” and currently ranked between the top ten in the Great Place to Work® list for 2018, the organization maintains a strong commitment to its 17,000 employees, and surrounding communities, through its progressive mission dedicated to environmental and social efforts, including EarthCheck certifications and its long-established non-profit foundations, the Vidanta Foundation and the Delia Morán Vidanta Foundation. For more information, visit www.GrupoVidanta.com/.